Most people will end up using Siri with Apple CarPlay. Apple's Siri is by far the best DVA or digital voice assistant on the market. 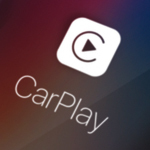 In luxury vehicles many of the features of the car can be changed or modified directly from the mobile Apple CarPlay interface found on the included app with iOs. Try Apple CarPlay in a new Maserati model. Visit our showroom in Warwick today!